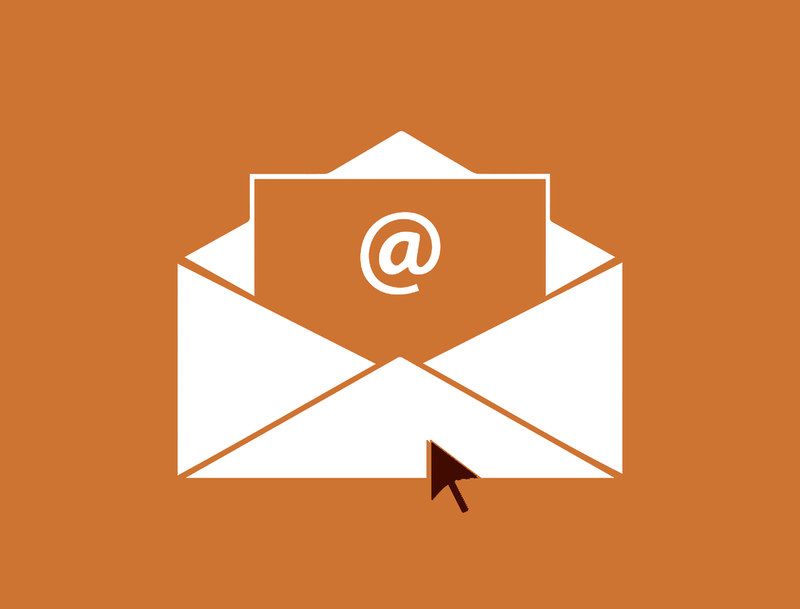 Are you ignoring email marketing for your business? I am running a workshop at Thinking Digital 2018 conference (go me) so I was excited to see on twitter this morning that they had announced the speakers and the workshops for this year’s event. I mentioned this to Dom to which he replied “yeah I already know” and I gasped and said, “how do you know? You’re not on social media!” – and it’s true, he’s not. I mean he is, but he isn’t. He has accounts but in reality never posts and rarely even checks the feeds on his twitter and Facebook accounts. To my eternal shame as someone who teaches small businesses how to use social media. he’s just not playing. So how did he know? But yeah. He knew because he got the email newsletter and he gave it a skim. And this got me to thinking; how many of us, in this time of Instagram, twitter and Facebook updates, are neglecting our email marketing? Being totally honest I know I am. My emails to our mailing list are infrequent because in recent years I have spent a lot of my business building and marketing time online on social media, writing posts, starting and joining in conversations. And of course this is all incredibly valuable. The last two projects that we completed can be attributed to relationships built on twitter and we are just started on fairly sizeable one which is the same. However, there are a LOT of Dominic’s in the world. People who just don’t really get involved in social media. So they’re not seeing your business on social media at all. There are also a lot more who don’t check in that often and so will be missing a lot of your posts a lot of the time. And of course the pesky algorithms and changes that all the platforms have made to how our posts are displayed and who they are shown to, mean that no matter how brilliant your social media game is, or how socially engaged your target market is, your posts are not being seen by everyone. And so all that valuable content you are creating, curating and repurposing is only being seen in reality by a small % of your followers. Often as low as 10%. However. if you have an email list, and your messages to them are interesting and relevant, you could be getting open rates of in excess of 50%. I was recently sending out emails for a company which were achieving an average of a 61% open rate with a reasonably high click through rate to the website too. It’s also fair to say that someone who has signed up to your news list is a lot more engaged with what you do than someone who follows you on twitter or Instagram. When using email software like Mailchimp and the like, you can see exactly who is opening your emails. You can see which links they click on. When you send out a Facebook page post or an Instagram post, you don’t easily know half as much about who has seen or engaged with it. I’m working with several clients at the moment on email marketing – one start up who is just trying to build her list and a couple of others who have been in business for a while, but like many of us, have been neglecting their email marketing plans to concentrate on social media use and other marketing tactics and have realised that their list isn’t all that and they’re missing a marketing trick. I’m helping them by looking at content and, crucially, list building, though generating sign up content and give aways. people need a reason after all to give your their email address. they have to feel that they’ll get something of value in return. However I have decided to send out a weekly short email of curated information to help small businesses market their businesses more effectively and a monthly, more in depth email which dives into one subject and gives small businesses the low down on something that can really make a difference in their business in the coming months. I have also started to map out some freebies – downloadable information and tools for small business marketing which will be released to the list as they are launched. So if you want to sign up, please do so here. And if you’d like to discuss your email marketing strategy with someone who has around 15 years of email marketing experience for her clients then get in touch with me by hitting reply to this email. « The Facebook Algorithm – change your game & avoid the pitfalls!